Back on The Mountain at Sewanee, Tennessee for the spring and summer seasons, I shiver in temperatures dipping to the 30’s and 40’s and winds blustering out of the North today. I’m warmed by the sight of the cover of my new book of poetry, Let the Trees Answer, designed by my grandson Martin Romero from a photograph of the Gebert oak taken by Victoria I. Sullivan. Dr. Sullivan, a botanist and writer, photographed the trees included in this salute. 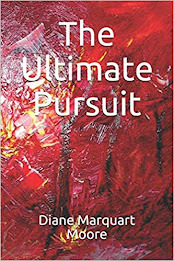 The book of poetry is my contribution to National Poetry Month and is slated to be published by Border Press within this month. 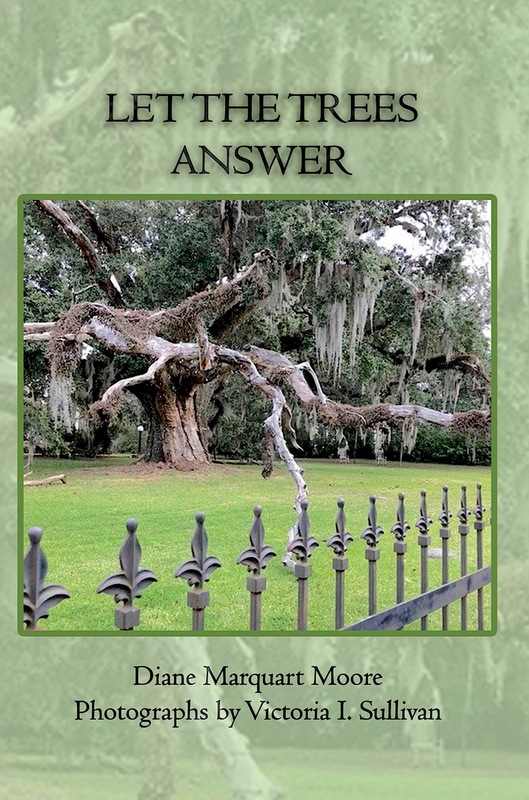 A description of the poems and an acknowledgment by Dr. Mary Ann Wilson, Professor of English at the University of Louisiana, Lafayette, are featured on the back cover of Let the Trees Answer. This volume, a poetic tribute to trees, includes poems conveying the idea that “trees can talk,” a form of humanistic botany within the frame of verse. 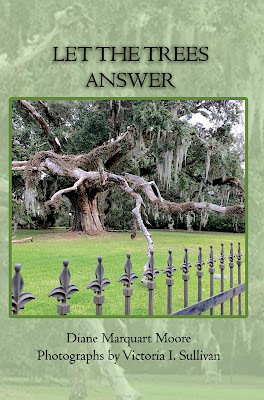 Let the Trees Answer is the third book in the series Between Plants and Humans, ranging from pines in Louisiana to jacarandas in Florida, and along the way, crabapple, Chinese Tallow, catalpa, and other trees scattered throughout the woods of the United States. This is a must-read for tree huggers. Happy National Poetry Month to all of you poetry writers and lovers, as well as tree huggers everywhere!